Equatorial Guinea has announced the signing of multiple memoranda of understanding on April 30 with Chinese companies covering large areas of cooperation in the electricity and industrial sectors. The agreements were made during the Equatorial Guinea-Asia Economic Forum, hosted by the Government of Equatorial Guinea at the Shangri-La Hotel, in Dalian, China. The economic forum was organized in Dalian to introduce investment opportunities in Equatorial Guinea to Chinese companies. Gabriel Mbaga Obiang Lima, Equatorial Guinea’s Minister of Mines, Industry and Energy represented his country while China Dalian International Cooperation Group (CDIG) was represented by the company’s president Zhu Mingyi. • A memorandum of understanding between CDIG and the Government of Equatorial Guinea, represented by the Ministry of Mines, Industry and Energy, for the execution of a study for the development of the Industrial City of Mbini. Within the agreement, CDIG will undertake preliminary technical studies and will explore key areas to promote the Industrial City of Mbini to international investors. The Industrial City of Mbini is planned to be a key reference point for investment in West Africa and an important component in Equatorial Guinea’s plans to diversify its economy. • A memorandum of understanding between the China State Construction Engineering Corporation and the Government of Equatorial Guinea, represented by the Ministry of Mines, Industry and Energy, for the planning and development of the Petroleum Industrial City of Luba. • A memorandum of understanding between Sinohydro Corporation and the Government of Equatorial Guinea, represented by the Ministry of Mines, Industry and Energy, for a feasibility study on the development of a new hydroelectric plant on the Wele River, in Equatorial Guinea. Sinohydro had previously been involved in the construction of the 120 MW Djibloho hydroelectric plant, as well as electrification projects in Mongomeyen and the mainland city of Bata. • A memorandum of understanding between the China Machinery Engineering Corporation (CMEC) and the Government of Equatorial Guinea, represented by the Ministry of Mines, Industry and Energy, for a technical and financial viability study to build a new combined cycle 100 MW power plant in the city of Kogo. • A memorandum of understanding between the CMEC and the Government of Equatorial Guinea, represented by the Ministry of Mines, Industry and Energy, for a technical and financial viability study for the establishment of an interconnection electricity grid in the CEMAC region. • A memorandum of understanding between the CMEC and the Government of Equatorial Guinea, represented by the Ministry of Mines, Industry and Energy for a technical and financial viability study to build street lamps and related public lighting infrastructure in the Industrial City of Mbini. 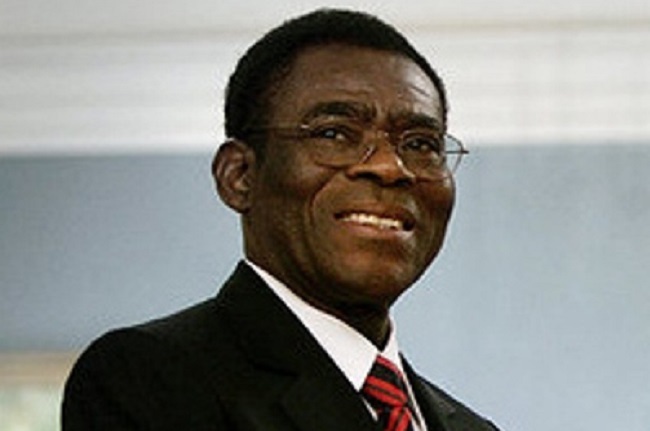 The agreements with the Chinese companies came just days following an official state visit from President Teodoro Obiang Nguema Mbasogo, in which the Government of Equatorial Guinea reached multiple agreements with China to strengthen economic and political ties. On April 30, the Government of Equatorial Guinea hosted the Equatorial Guinea-Asia Economic Forum in Dalian, China, where national leaders presented investment opportunities to an audience of 500 potential Chinese investors. The large turnout for the event was seen as a confirmation of strong investor interest in Equatorial Guinea as the country carries out ambitious plans to diversify and industrialize its economy.